Finally, five months later, I am getting a little bit of down time and can finally recount my adventure with the McDermotts. Arriving in to Stazione Santa Lucia with my back pack, I curved my way towards Palazzo Guardi where I hoped Zizi Linda, Uncle John and Juliana would already be waiting for me. Given the hour and the fortunate path google maps had laid out for me, I was able to stop and get my saturday venetian fish fry in Campo Cesare Battisti (Sabato in Campo) before the McDermos arrived. Lucky for me, McDermos were already being refreshed and relaxed in their gorgeous annexed room of Palazzo Guardi, which they so kindly let me stay in with them. The time was right, and I was impressed with their punctuality, which turns out could have been more punctual if there was no airport bus mishap, but anyways, this meant that I would be able to show them the Sabato in Campo that I had just enjoyed with strangers a little more than an hour ago. It took some convincing to get them mobilized and prepped for a 20 minute walk to find food, but I did it and we were off in Venice to get some fritto misto and vino bianco! Yay! I was happy that the convincing paid off. We made it to Sabato in Campo just as it was closing, and everyone was more than happy to indulge on the fried calamari and white polenta. With fuel in our tummies we started Zizi Linda's wish list, walking toward Piazza San Marco, taking a quick peak in the Basilica and continuing to walk around until Uncle John called nap time. We returned back to Palazzo Guardi to have a nice nap before setting out to find what Zizi Linda had been researching for months. The famous venetian Cicchetti bars! And apparently our hotel was conveniently located near two of the best according to Zizi Linda's search. So, freshly napped we headed out to find our cicchetti bars which is ethe venetian version for aperitivo, but has the same general concept of having a pre dinner drink accompanied by snacks, and in Venice are served at bars called Bacari. The main difference is that you pay for each cicchetti you want to eat, there is no free aperitivo buffet, and you can usually find cicchetti being served at any time of the day. So off to get treats and drinks and please Uncle John's grumbling stomach, his 5:30pm on the dot meal time had been missed, and he was not quite into the Italian eating habit groove yet, aside from the actually art of eating delicious things. After the baccari and delicious cicchetti, we headed to dinner, but naturally I reserved a time too late, tummies were growling and jet lag was setting in, so we tried to get a table around 8:00, ahead of our 8:30 reservation, but we ended up having to wait anyways. The food at Taverna San Trovaso was pleasant, I wasn't mind boggled by deliciousness, but we had a nice meal, the place was lively and after we paid the check we essentially could have fallen out of the door and into our beds, which ended up being PERFECT because we were all rather tired. Sunday morning we woke and had a nice breakfast just outside our room in Palazzo Guardi. We woke up early because Zizi Linda had planned a surprise for Juliana and I, which she happened to ruin and reveal the night before at dinner because she just couldn't keep it in any longer. Fail. We were excited nevertheless, but it would've been more thrilling to not know where we were headed in the morning because we kind of walked to the middle of nowhere so the continued suspense and mystique could have built up nicely along the walk. The surprise that Zizi Linda had researched and been so excited for was just as cool as she had been building it up, she got us a private batella lesson with the lovely Anna from Row Venice. You may be asking, "but what is a Batella?" and that is exactly what we asked and what we learned on our four hour private tour in the canals and lagoon of Venice. Anna came rowing up solo to meet us in the canal near Fondamente Nova. She started with the history of the Batella, explaining how it used to be more popular than the Gondola in Venice, as it was used to carry goods and supplies throughout the city, but with the invention of the motor they were pushed out of the way. She explained the shape of the boat, wider than that of the Gondola to provide stability for carrying goods throughout the city, and then she proceeded to show us how to row the boat, stabilize our bodies, place our hands correctly and create the right rowing motion to propel forward. She sang us an upbeat song that helps the rower keep the beat, and took down the stereotype of the gondoliers singing O Sole Mio, who's beat is too slow to row to even for a gondolier. She explained the sadness that Venice is left in, between taxis not paying attention to speed limits and ruining the foundations of the city to explaining the backwards, familiar, and paternal rules overpowering the gondolier market, keeping many potential gondoliers (women and non inherited family members) out of potential jobs. We had four fabulous hours listening to Anna's stories about Venice and sharing her love of rowing with us. And let me tell you, it was not easy to row that thing, and she was able to cruise along the canals with ease! Zizi Linda leaves Venice with a win in her pocket, and definitely one-upped my mother with this Venetian find! We spent the rest of Sunday roaming the calle, found lunch and a packed fun cafeteria near the Rialto that Zizi Linda had researched, then took the boat to a quick stop at Murano and then Burano. My first time in Burano, and I loved it! I could've stayed all day, but everyone was rather tired so we returned to the hotel and napped, then researched dinner places for Sunday night dinner, and ended up having a delicious dinner at another place on Zizi Linda's list, Il Profeta, then we went to bed, for I had to wake up at 5 am to weave through the dark, foggy streets of Venice to catch the train back to Bologna in time for a 9 am class! I made it! In class I wore my sweet new Boston St. Patrick's Day shirt that Uncle John had brought for me from Logan Airport and I hoped that Zizi Linda would appeal to his Irish roots, for it was St. Patrick's Day, Uncle John was in Venice, and I am sure he needed a Guiness! The McDermos arrived in Bologna Wednesday with their eating faces on. I got them settled in to their AirBnB apartment, then brought Juliana to get settled in my place and show them around. Our first item on the list was to see "The Girl." Palazzo Fava was holding a special Rembrandt and Vermeer exhibit including famous pieces "The Girl With the Pearl Earring" and "The Goldfinch," so Zizi Linda was lucky to visit Bologna while The Girl was still in town. We were content seeing the exhibit and the art truly was beautiful, but Uncle John would have be happy to wait outside! After the exhibit we went to grab aperitivo at Le Stanze where it was Martini night and we learned our new favorite drink, The Martini Royale. Juliana also went home with a bunch of Martini products, #winning. 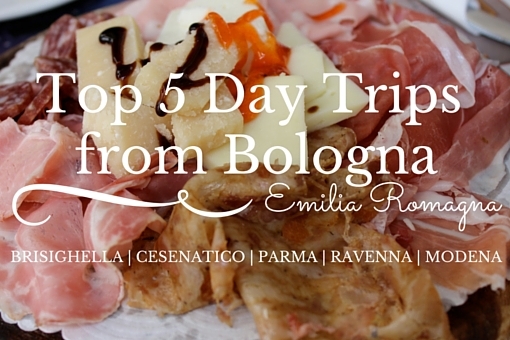 From there we headed to the famous Osteria Broccaindosso, that Nancy D'Ammassa had told me to go to my very first day in Bologna, but I was just making it there a year and a half later (make your reservations in Bologna! or you don't eat!). This osteria was famous for its desserts, but our tummies were hungry and we were thinking about pasta and not saving room for dessert so we stuffed our faces with lasagna, tortelloni, boar's meat and polenta, and then we the dessert cart came out, 13 euro per person, all you can eat from 15 different choices, we had to decline, but we found ourselves entertained by watching the other tables get only an antipasto and then load up desserts to finish off the night! We apparently should've read this article before ordering, it quotes, "renown for its antipasto and dessert..."... makes sense now, but now we know! Thursday, I forced Zizi Linda up the longest porticos in the world, the end result San Luca and a lot of complaining. Juliana and I enjoyed being physically fit and not being the complainers for once! Since San Luca is right near the stadium, we stopped by the stadium so Juliana and Uncle John could see it, they even got on the field (and got yelled at after they had finished taking pictures). After the long morning walk we returned to the town center to eat lunch at Osteria dell'orsa, another delicious place. We made sicilian friends who also were happy to talk Soccer with Uncle John, then we walked home to take our naps. Afterwards we woke up to go eat some more, I took them to Osteria al'15 which was conveniently located to our apartments, and had them taste crescentine and scuaquerone for their antipasto and Juliana finally got her most delicious tortellini al ragu. The night before she has ordered tortelloni alla bolognese thinking it would come with meat sauce, but that was a mistake, it came with a white sauce, cause RAGU is the real red sauce that the world refers to Bolognese, but don't get confused when you're in bologna! Friday we spent the day shopping and relaxing. Uncle John walked back out to the stadium by himself to go to the Bologna pro shop to get some sweet apparel. The ladies on the other hand were on a shoe and cheese mission. Uncle John had a good day because he got soccer and pizza and beer, and somehow or another their vacation was already over! We stopped at the bar in Piazza Santo Stefano to grab aperitivo and Martini Royales, Juliana walked away with a fabulous Martini wine glass and we headed to Spaccanapoli to fill Uncle John's pizza craving, and boy was he full. I had enough leftover pizza to last me the week! Overall, jokes and fun were had. Zizi Linda loved Bologna and her time in Venice, and Juliana was happy to leave with her box of chocolate tortelloni and blue suede shoes, Uncle John on the other hand now has a full Bologna soccer club wardrobe and we all spent good time and calories together for a lovely week! As usual it was sad to see my visitors go, but I was happy they had actually made it to lovely BO after all the talking!